Most managers, when they think of workplace safety issues, their minds go first to preventing tangible physical threats such as fires. These are the most obvious threats to employee health and wellness, and it's of course important to address them. But sometimes, the more serious risk is less physical and more mental. Something as simple as a small interpersonal conflict can boil over and become a much larger issue. Low morale and high stress are issues that affect millions of people daily. Something as simple as a small interpersonal conflict at work can boil over and become a much larger issue, throwing off the cohesion and collaborative ability of an entire team. Managers should look to identify the causes of such issues and prevent them whenever possible. While stress isn't as obvious a threat to work site safety as some of the more blatant physical hazards, it can still be a major problem. According to WorkSafe New Zealand, workplace morale can become a significant threat whenever an issue – be it a difficult work task or an interpersonal squabble – is allowed to fester. Such troubles come in all shapes and forms. Stress might originate because an employee is physically or mentally fatigued with their work. It may stem from harsh feedback that one employee gives about another. All kinds of negative experiences that seem relatively harmless at first could potentially grow into bigger disruptions. Stress will always be a threat in the workplace on some level, but it's one that managers can mitigate if they're willing to make some adjustments to the work site safety checklist, considering more than just physical hazards. Stress can be a major problem for employees. Work distractions are one example of an often-overlooked danger. If people are unable to focus on their work, they're likely to struggle with it, and that can boil over into larger problems. 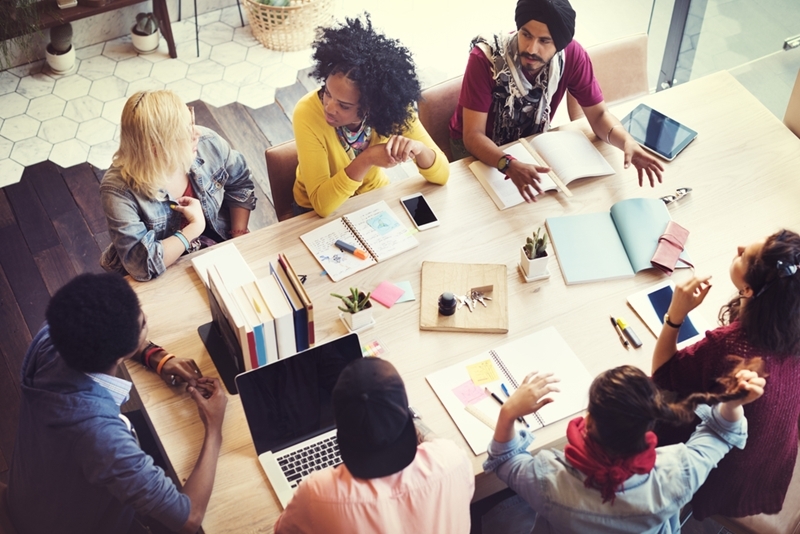 According to Forbes, the healthiest workplace culture is one in which people are proactive, addressing challenges as they come and not letting them eat away at their productivity. The best way to ensure that your staff stays healthy, both physically and mentally, is to use a workplace safety app that can keep an eye on staff members and make sure you're apprised of any potential issues. SiteApp is great for this, as it's a mobile solution that offers you complete visibility into your staff. What's more, the app also makes it easy to share information using paperless workflow. Forget about tracking the health of your employees using piles of paperwork – those days are over. Now, you can manage health issues quickly, painlessly and in real time. Most people have a negative gut reaction to the idea of being monitored at work. It has an unnerving connotation, evoking the Orwellian idea that "Big Brother is watching you." Following your employees too closely can make them feel paranoid and uncomfortable. The hallmark of a good manager is the ability to enforce safe and responsible work practices. On the other hand, proper oversight is important for improving their safety. The hallmark of a good manager is the ability to keep one's eye on staff members and ensure they're engaging in safe and responsible work practices. If monitoring their work is what it takes to do this, then perhaps it's not so bad an idea after all. If you're going to start monitoring your employees more closely, a good first step is to change your company culture so that people expect to be monitored and are OK with it. According to Entrepreneur, this can be done – Andrew Walls, security and risk analyst at Gartner, told the magazine that the key is to be transparent about your intentions. "You need to have the transparency, that fully informed consent, or you run into morale issues or legal issues," he said. There's nothing wrong with monitoring people if you're doing it for their own good – i.e., to keep them healthy and safe. If you establish from the start that that's your goal, everyone should get on board. The beauty of monitoring your employees is it should help give structure to your staff and their workflows. For example, if you've found that certain people are more productive in some roles and shifts than others, you can make adjustments to workers' schedules that will help them improve their work. Technology can help with setting optimal work schedules. You can also use technology to help people learn safer work habits. According to Hubstaff research, that's the thinking behind the recent rise of mobile work site safety. The software company found that monitoring employees and their work habits helps protect them against both physical threats and cyber ones. If you really care about the well-being of your employees, it makes sense to keep a watchful eye on them and make sure their work is going smoothly. So why not use a workplace safety app to make this happen? As it turns out, SiteApp can be precisely this app. SiteApp offers remote monitoring capabilities. This means that even if employers and their managers aren't sharing the same work site at all times, it's still easy for them to keep in touch and share information. Work in the 21st century is dynamic and mobile – why shouldn't your safety app be much the same way? From time to time, just about everyone in business has to deal with one common burdensome task – signing lots of paperwork. Whether you're an entry-level employee filling out a time card or a CEO inking important contracts, everybody's got to sign something, and usually often. If you're still penning your name on form after form, you should know it's no longer necessary. After a while, the task can start to feel repetitive and pointless. After all, this is the 21st century, and modern technology has already made countless rote business tasks easier and more efficient. Isn't it about time signatures became one of them? As a matter of fact, they are. If you're still tediously penning your name on form after form, you should know it's no longer necessary – especially where workplace safety is concerned. If you spend a lot of time filling out forms for safety documentation, it certainly makes sense to spend a little time searching for a more efficient way to do so. According to TechTarget, digital signatures are that way – they work just as well as a regular signature, only they're faster and more secure as well, since they address the problems of tampering and impersonation. TechTarget noted that in many countries, digital signatures have become so popular that government bodies have granted them the same legal significance as more traditional signings. This trend will only continue as paperless work keeps gaining ground. Is your business considering a transition from a pen and paper-based method of safety documentation toward more of a mobile work site safety strategy? If you're not thinking about that possibility, you probably should be. 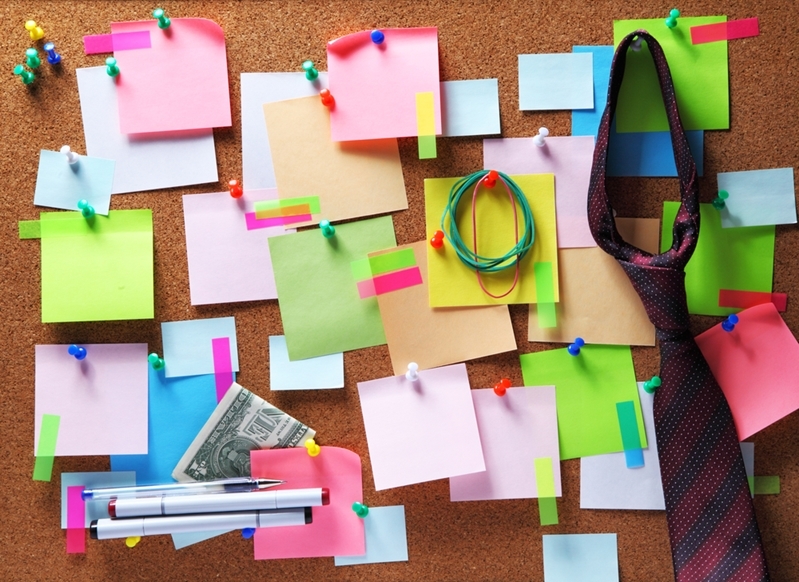 According to research from DocuSign, paperless work processes bring many benefits. Why deal with piles of paper when you don't have to? Chief among them is cost saving. If you no longer have to worry about printing, scanning and couriering documents, that's a tremendous financial burden lifted right away. In addition, paperless work is often faster than its traditional counterpart, and it allows multiple stakeholders to collaborate more easily. The best way to go paperless with your work safety inspections is to use a tablet with a safety app. More specifically, SiteApp should be your mobile solution of choice, as it makes it easy to gather your documents and sign them electronically as well. Why waste time physically signing forms when you don't have to? SiteApp's integrated signature capturing technology makes it easy to fill out paperwork and store it for as long as you need. It's fast, easy, efficient and bound to help your business do more with less. One of the riskiest situations that any employee can get into is one where they're assigned to work at a great height. Constructing a roof atop a tall structure, for example, is an unavoidable part of the job, but any worker who attempts to tackle it is inevitably putting themselves in harm's way. It's crucial to put protections in place that will keep employees from having scary accidents. That's why it's so crucial for work site supervisors and other business leaders to put protections in place that will keep their employees from having scary accidents. The health of your employees should always be a top priority – keeping people safe will make them happy, motivated and productive. When it comes to precarious situations like heights, you shouldn't take any chances. One of the trickiest situations to address when it comes to work site safety involves managing employees who have to work at heights. In most cases, having people stationed high up is unavoidable, so you just have to mitigate risks the best you can. According to WorkSafe New Zealand, one key way to do this is with edge protection. If you put walls or other barriers around the edges of roofs or other high surfaces, you can keep people from falling far if they slip or trip. Such protections come in many forms. They might consist of a simple bit of scaffolding or guardrailing, or a more concrete barrier like a full-fledged wall. If you really care about the safety of your workers, getting edge protections built for your roofs should be a top priority to add to your work site safety checklist. According to Industrial Safety and Hygiene News, the hallmark of a good manager is the ability to have such protocols in place and follow up, making sure they're enforced. Come up with a detailed list of work safety initiatives and prioritise them. Thoroughness is important in this regard. It's crucial to keep a checklist of structures that need to be built and constantly reevaluate the inherent risks on your work site, looking for opportunities to do anything more. Of course, building safety apparatuses for roofs is just one of many small tasks you'll need to tackle when handling worker safety, and it can be difficult to coordinate the many moving pieces that are part of the job. This is why it helps to have a top-quality workplace safety app on your side. Luckily, that's exactly what SiteApp is. One of SiteApp's best features is its efficient documentation process, which allows you to take detailed notes on each new project your staff tackles and share them with ease. Making your workplace safer is a long and complicated process, but we're here to simplify it a little. Every company has a clear interest in building a workforce that's healthy and free from safety risks. A healthy staff is one that works productively, avoids unnecessary interruptions and consistently adds value to the business. A healthy staff is one that works productively, avoids unnecessary interruptions and consistently adds value to the business. If you zoom out a bit, it's also clear that New Zealand as a whole benefits when its workers are healthy. This leads to a strong economy, lower health costs and a generally higher quality of life. Therefore, it should come as no surprise that the national government is currently showing an increased level of emphasis on enforcing health standards. The positive impact of this move should steadily trickle down to companies and their employers. For evidence of New Zealand's commitment to health and safety, one should begin by looking at the top. According to a New Zealand Government press release, the country has begun to focus more heavily on safety since the recent passage of the Health and Safety Reform Bill, which will mandate that companies enforce safety rules and educate employees about the risks they face. The government has high aspirations with this new law. The hope is that by 2020, workplace injuries and deaths will be 25 per cent lower than they are today. To make this happen, companies will need better enforcement tools and more participation from workers in safety training courses. The first step toward creating a safer workforce is building awareness. 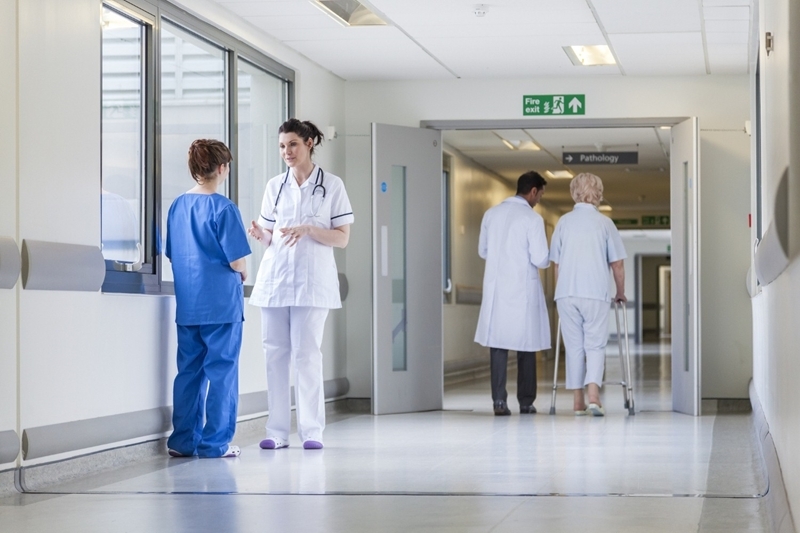 If you can disseminate safety documentation materials throughout the workforce, you should be able to drive renewed interest in health and reform the culture of your organisation. Spread the word about safety to your whole organisation. This begins by making your company's safety rules accessible and visible to everyone. Once you've made everyone aware of the ground rules, you can start to draw up a hierarchy of accountable people in your organisation who are in charge of enforcing safety standards. An emphasis on healthy work practices should begin from your top-level business leadership and trickle down. Perhaps the best way of disseminating safety compliance information to the entire workforce is to use a highly convenient workplace safety app. That's where SiteApp comes in – we offer a mobile application that makes it easy for your personnel to share information about people's wellness and productivity. One of our app's many features is its ability to simplify compliance. By verifying that your safety info is always accurate and your work processes remain effective, SiteApp takes all the frustration out of workplace safety. As a result, your staff gets to return to what they do best – working productively. In New Zealand, the government has always had nationwide standards in place to ensure employers look out for the health and safety of their workers. There's some wiggle room in the laws, and every manager has the right to set their own standards to a certain extent, but there's a nationwide baseline that everyone must at least meet, if not exceed. If you manage a New Zealand business, it's important to respond to the changing rules. In 2016, that baseline is rising as the government continues to roll out new standards governing worker safety. If you manage a New Zealand business, especially one where workers are frequently at risk, it's important to stay agile and respond well to the changing rules. New Zealand has always demanded that employers ensure health and safety at work, but the rules are only becoming more stringent. This year, according to the Ministry of Business, Innovation and Employment, the latest development is a mandate for health and safety representatives. If you run a business where employees are in high-risk situations, workers can request an H&S rep, and you will be obligated to provide one. With this mind, now is a good time to review your company's workflows and assess employees' risk levels. 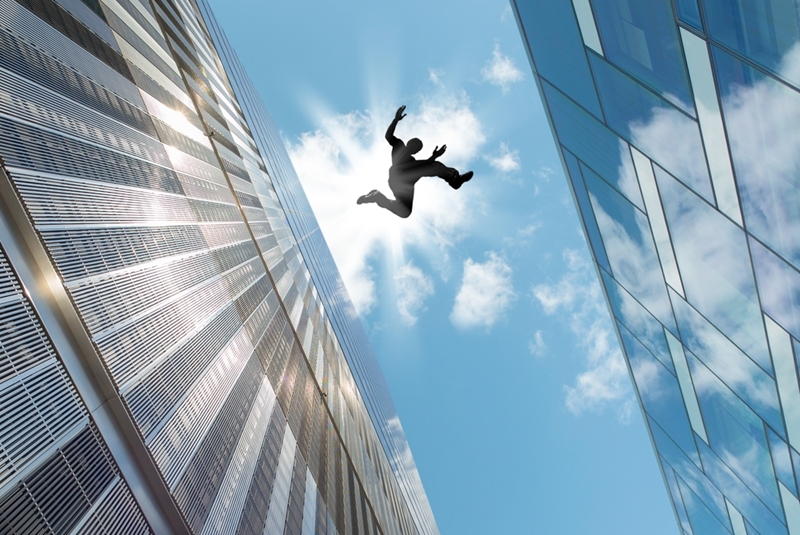 What are the chances of an employee getting hurt on your premises? How seriously would such an injury be? Once you have these answers, you can start off on the path toward compliance. If you're ever in doubt about the risk levels your employees are facing, it's never a bad idea to go back over your work site safety checklist and revisit a few of the key points. According to Safety and Health Magazine, two of your primary areas of focus should be slip, trip and fall prevention and fire safety. Protect against risky situations for your employees. As for the former point, reducing clutter and ensuring a clean, orderly workspace will make it less likely that employees have accidents that lead to injury. For the latter, fire safety is also largely the product of cleanliness – if there are hazardous materials and wastes scattered around your site, people are going to be at risk. The solution is clear. A more orderly workspace will benefit everyone. To ensure compliance with all of New Zealand's safety laws, you've got to keep a close watchful eye on your employees and their work. So why not purchase a workplace safety app to help you do it? That's exactly what you get with SiteApp. SiteApp is a powerful tool that helps you regain control over worker health and safety. A big reason for this is its capability for remote monitoring. With our app, it's always easy to check up on your personnel, even if they're offsite working on disparate projects. You never want to lose sight of your employees or their safety – and fortunately, with SiteApp, you'll never have to. No one is in peak physical condition every minute of every day, and employees in all lines of work have to worry about the effects of fatigue. However, not all workplaces are created equal in this regard. A fatigued worker could lead to a major breakdown in a large team-oriented process. In a conventional office job, fatigue is relatively harmless. Even if an employee dozes off at his desk, the impact is often small like a report going unfinished or an email unanswered. At sites that demand a lot of physical labour, however, the stakes are much higher. A fatigued worker could lead to a major breakdown in a large team-oriented process, and someone could get hurt. It's important to safeguard against this danger. Many people think of physical dangers like falls and fires as the chief threats to work site safety, but the truth is that intangible factors like fatigue can be just as bad. According to WorkSafe New Zealand, the safety of your employees might be in jeopardy anytime people are tired and their ability to "perform work safely and effectively" is hindered. This could happen for any number of reasons. Employees might be tired out because their schedules are too busy, they're sleeping poorly or they're working in unfavorable environments. Additionally, they might have jobs that are too demanding physically, mentally or emotionally. In any event, the hallmark of a good manager is to look out for all of these warning signs and prevent such issues if possible. Fatigue is a very personal thing, and to an extent it's up to the employee to take care of themselves, but managers can definitely help by fine-tuning the work site safety checklist to better prevent fatigue. Fatigue might be indicative of a larger medical issue. WebMD research indicates that sometimes, larger health problems are to blame for an employee's tiredness. Diabetes, heart disease, arthritis, anemia, thyroid disease and sleep apnea are all examples of such conditions, and it may be necessary to screen for them. Additionally, lifestyle changes like exercise levels might help with avoiding excessive fatigue. Whatever method you use for curbing employee fatigue issues, it's important to monitor your progress and make sure your efforts are working. For this, you need the right safety software, and there's no better option than SiteApp, a mobile solution that gives you total control over the process. One of SiteApp's key features is its new and improved capacity for safety documentation. The app makes it easy to create jobs, fill them out and log your progress in a way that all stakeholders can view. 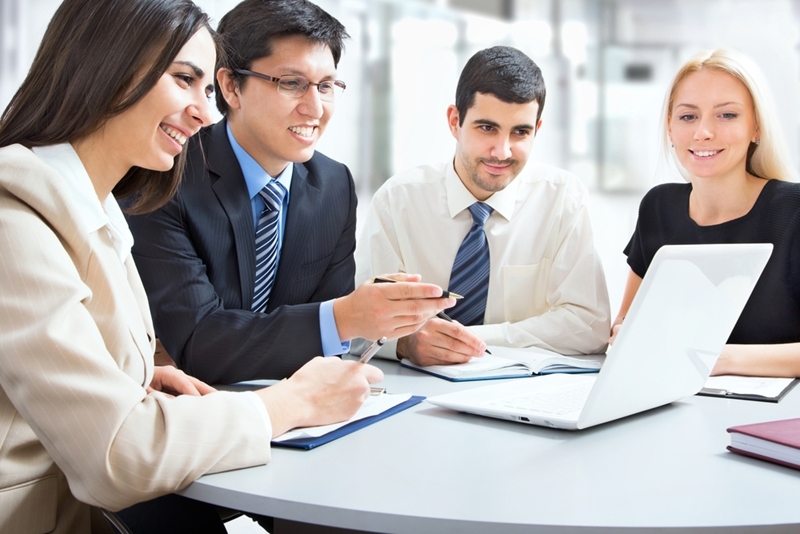 It creates an entirely new level of collaborative capability for your staff. If you're really passionate about keeping the employees at your work site healthy and safe, there's one thing you'll need to prove it – a mountain of paperwork. Enforcing safety standards is all about completing training courses, inspections and audits. All of these procedures require a great deal of documentation to verify they've gone smoothly. Now's the time to adopt an efficient, streamlined framework for storing safety documents. Therefore, a key question for your organisation is how you'll handle all these documents. In the old days, companies simply had physical filing cabinets on the premises with thousands of pages of documents housed inside them. In 2016, however, that won't do. Now's the time to adopt an efficient, streamlined framework for storing, accessing and sharing your company's essential safety documents. When you put a great deal of effort into health and safety at work, you're bound to see the paperwork pile up. According to Health and Safety Handbook, audits, inspections and reviews are just a few of the common processes that often lead to this phenomenon. To keep the pile under control, it makes sense to have a more efficient process. Going paperless can have myriad positive effects. For starters, it should drive continuous improvement by helping you quickly and painless assess your progress at any time. It also makes it easy to manage both up and down by showing your employees and higher-level bosses tangible evidence of your commitment to safety. When your documentation is more efficient, everyone has something to gain. When implementing a paperless process for safety documentation, one key consideration is the intended audience, according to WorkSafe New Zealand. In other words, who will read the documents you're digitising? Is it supervisors, managers, trainers or other staff members? What files and formats will they prefer? Going mobile makes it easier for everyone to find the info they need. Additionally, it's important to think about the specific uses and applications for your personnel. People might need to find documentation for something either on a work site, or during a meeting or training course. In any event, your documents need to be available to people in the right settings. It might seem difficult to coordinate documents in a way that works for everyone, but here's a universal truth. When you have a mobile solution that's adaptable to everyone's needs, you're extremely likely to succeed. That, incidentally, is exactly what you get from SiteApp. We offer safety software that gives you the capability to improve documentation, share information freely and invite everyone in your company to collaborate, creating a safer and more efficient workplace in the process. Forget about the piles of papers – going mobile is the future. Our product can lead you forward. One of the most challenging aspects of handling workplace safety is the sheer volume of data you're dealing with. Every location you operate in and project you undertake brings a new stockpile of information – training materials, compliance documents, insurance info and so on. The bigger and more complex your business becomes, the more you have to deal with. It makes sense to invest in better resources for governing all your data and handling it properly. With this in mind, it makes sense to invest in better resources for governing all that data and handling it properly. You want your information to be safe, secure, readily accessible and easy for employees to work with. These days, that means using the cloud. When it comes to workplace safety documentation, there's no better way to store and safeguard your data than to keep it in the cloud. Nowadays, just about everyone is doing it. According to IBISWorld research, the market for data storage services in Australia alone is now making revenues of $2 billion annually. The cloud is a huge reason for this. 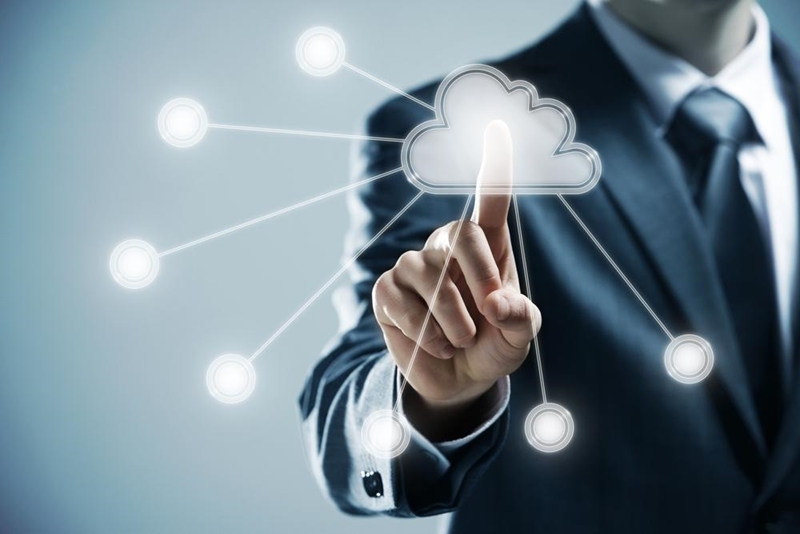 Companies have turned to the cloud because it's made it easy to control storage space and costs, scaling up and down based on the business' changing needs – a key capability in a dynamic business world. If your company is like most, you probably have an extensive work site safety checklist with a long series of tasks and challenges on it. Ideally, it would be good to move the entire list to the cloud, rather than rely on a process that's siloed and piecemeal. Bring all your data together with one unified cloud. According to PCWorld, everything about your workflow will change dramatically once you have a single cloud solution you can trust. You can start to move everything relevant to your company and its safety concerns under one roof – new email attachments, old files, mobile downloads and so on. The cloud, when used right, should become one centralised hub for all of your business' pertinent information. The best way to improve safety at your company is to attack it with a twofold strategy – the cloud, and mobile. This is where SiteApp comes in, as it's a workplace safety app that will make it easy for your employees and their managers to track safety data using tablets, not clipboards and papers. Because SiteApp includes storage in the cloud, your internal workflows will be easier than ever. We have an innovative system that allows all your documentation to be stored conveniently and securely. When it comes to keeping your people safe and documenting it, this is the next level. When most people think of hazards that threaten work site safety, they most commonly think of physical elements they can actually see. A malfunctioning machine or a piece of falling debris, for example, is something that presents a clear and tangible danger to workers' health. It's worth noting, however, that not all safety risks are visible ones. Not all safety risks are visible ones. Sound can be an invisible killer. Sound can be an invisible killer. If you have people working in an unusually noisy area, such as a mine or a construction site, there's the potential for the excessive volume to do major damage to their hearing and even cause additional health complications. As a manager of such a site, it's imperative you do something about this often overlooked, yet important problem. Not every threat to work site safety is something as dramatic as a vehicle crash or a falling projectile. 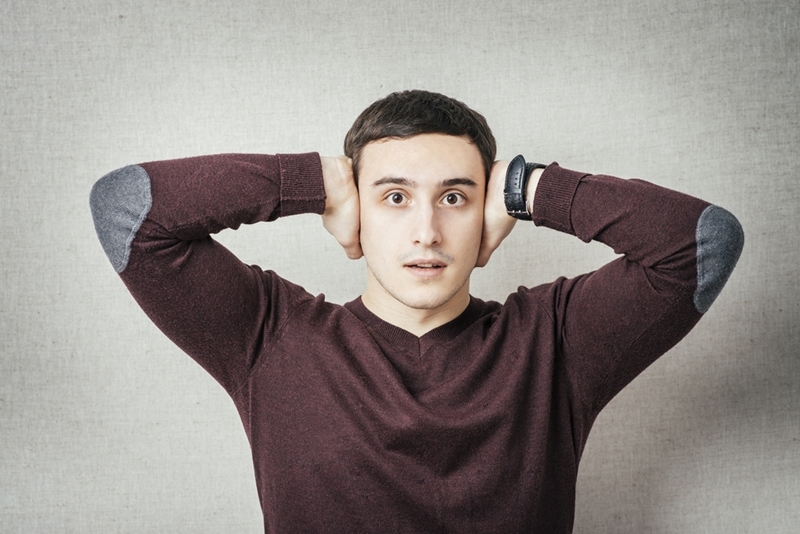 Slowly but surely, noise pollution can prove just as dangerous to your employees. According to the Occupational Safety and Health Service at the Department of Labour, prolonged exposure to excessive noise can cause hearing loss in the form of a temporary threshold shift (TTS). Eventually, a TTS can turn into a serious condition like tinnitus. Some individuals are more prone to such ailments than others. It's important to keep an eye on the wellness of your employees and take action to help them if they're vulnerable. If you operate a work site where noise is a serious risk, it's probably advisable to compile a long work site safety checklist that's full of strategies for helping employees cope. Sometimes, you just can't take the noise anymore. This should begin with doing your research – finding out just how much noise your site has and statistically how damaging it's likely to be. From there, you can determine how much you need the volume levels to decrease and you can begin to brainstorm workflow adjustments that will help. You may also want to consider investing in training courses for coping with noise issues and protective equipment that people can wear. Additionally, it's always good to follow up regularly and check on your progress. 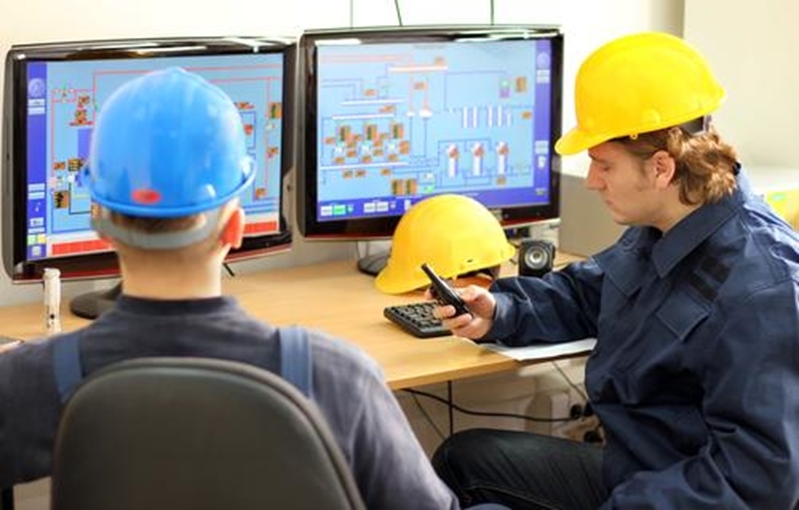 If you need a better way of keeping an eye on your employees' health risks, including noise pollution and more, it might be time to invest in top-quality safety software. Fortunately, that's exactly what SiteApp is. Among the many features you get with SiteApp, one is a new and improved process for safety documentation. You can easily report data on people's health, store it in the cloud and access it whenever, wherever. Try our app today and find out for yourself.